“Every Which Way Crochet Borders” book review, bonus pattern, & giveaway! OK so, there’s really a lot packed into this 218 page book, and it’s not just the 139 cool crochet borders. Let’s dive in to some of the details! each engineered to flow smoothly around the 90-degree corners that you’ll find on blankets, sweaters, washcloths, and other items. Each beautiful pattern includes both written and charted instructions as well as any necessary additional information on stitches or other notes, and each pattern is tagged with categories for easy searching (categories include: reversible, wide, medium, narrow, undulating, straight, motifs, open/lacy, layered, fringy, and textured). Before even getting to the patterns, however, there’s a very helpful section of the book called “Design Concepts” which really put this book a notch above other border books and patterns for me. It gives a very helpful structured approach to choosing borders for your project based on some crochet principles, such as “Form Follows Function,” weighing borders that compliment vs. contrast with your item, recognizing the potential for the huge differences colors can make, understanding scale, and how to choose the right type of yarn for your projects. Edie even includes advice and details on how to add borders to other types of fabric, which I found very useful. And while her border patterns are written out with specific detail, Edie encourages customizing the borders in her book (such as widening borders or combining them), and she tells you how to do it with math that is really very straightforward and takes a lot of guesswork and frustration out of making the perfect border for your pattern. It is so nice not to have to figure this out yourself! If you’ve ever had to do this on your own you know that the struggle is real. Wrapping up the “Design Concepts” section are some helpful tips on troubleshooting, starting and ending rounds smoothly, and even how to fudge stitch counts if necessary! The borders themselves are cute and varied — there’s something sure to please everyone and go with just about any project. Experiment and have fun making your own personalized crochet borders! free border pattern just for you! As I mentioned before, check out the other blogs on the blog tour to find not only more ways to win a copy of the book but also more free bonus patterns from the book itself! For my readers I choose to share border #99 straight from the book itself so you can see how each pattern page is laid out! The Stitches & Notes section is very helpful for those who haven’t tried the Solomon’s Knot stitch before. As mentioned above, each pattern is tagged with specific categories. The photo and written pattern are clear and concise. And the charted pattern is easy to read, with repeated sections highlighted. Excerpted from Every Which Way Crochet Borders © 2017 by Edith L. Eckman. Photography by John Polak. Chart by Karen Manthey. Used with permission from Storey Publishing. 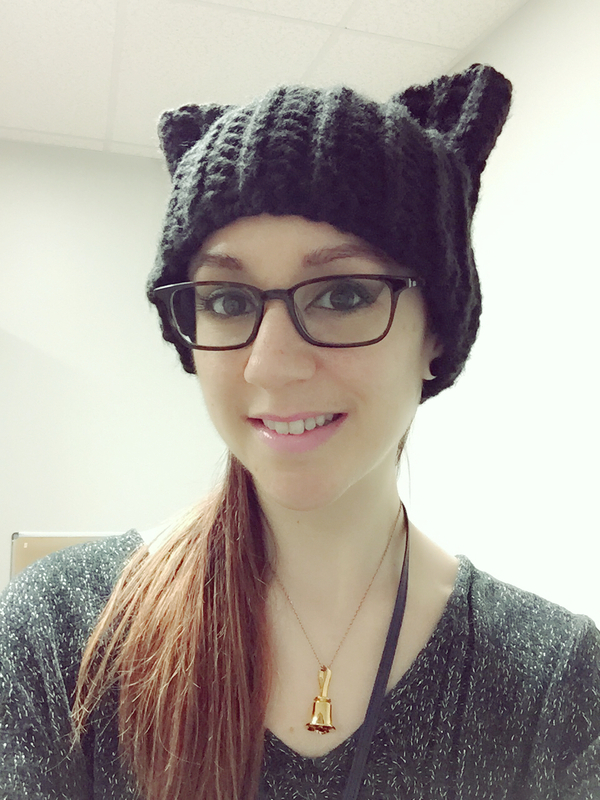 And now for the giveaway part! This particular giveaway is open only to US residents (but any of the other giveaways I hold are open worldwide). 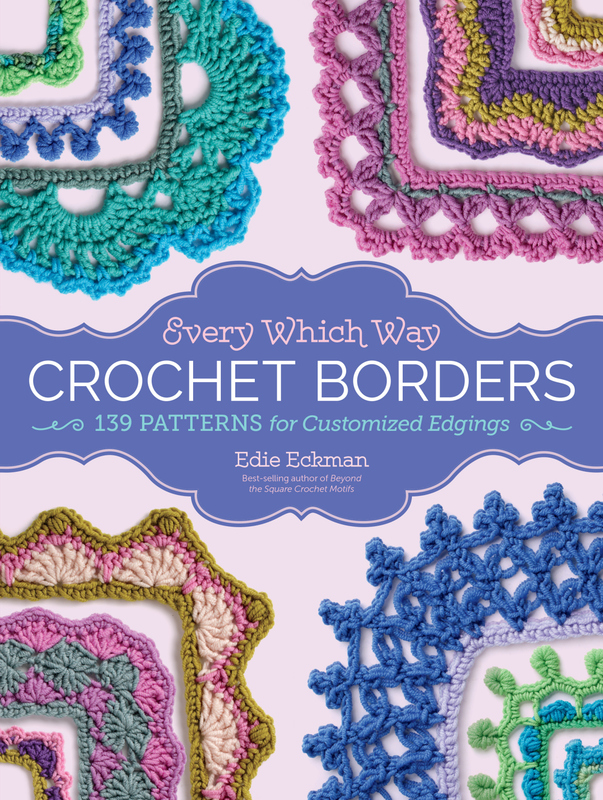 A lucky winner will receive their own free copy of Edie Eckman’s “Every Which Way Crochet Borders,” and all you have to do is comment below with your name and the State you live in (one entry per person please)! Winner will be chosen by a Random Number Generator on Saturday, Feb. 25. If chosen you will receive an email from me requesting your mailing address; make sure you check your inboxes because after 24 hours I will draw again if I receive no response! Winner will be announced as soon as one has been confirmed! Good luck everyone!